There are a lot of ways to organize information. And the bigger a company is, the more complicated it can be for employees to find the right data, let alone know how best to use or share that information to make more-informed decisions. If teams don’t talk, or if your organization doesn’t have an integrated data strategy to harness marketing, customer, and advertising data, information and ideas won’t flow freely. Here are three ways to break down data silos and get your organization on the path to a more collaborative, data-driven culture. The first step to making data more accessible is to outline a data strategy that identifies data owners and key points of contact for each information source. Next, define how to integrate data and related technologies, and provide standards and processes related to data security and privacy. Include guidelines for sharing data internally. Once data is made available to marketing managers and business decision-makers, make sure you champion a data-first mindset with your team. Using data effectively is a key differentiator for marketers who are ahead of the curve. C-suite buy-in and other champions across the company help reinforce a data-driven culture by giving teams stuck in silos a nudge to collaborate and share analytic insights. Even better, this environment should give teams the incentive to align or share goals since data is core to campaign plans and marketing strategy. If a team is empowered with the right learnings, it will proactively integrate data rather than push it aside. Set up brown bag sessions or internal trainings, or provide employees access to self-paced learning modules. Finally, consider pairing the “data evangelists” and data storytellers within your organization with different team members to identify areas of focus based on relevant business goals and the biggest opportunities. 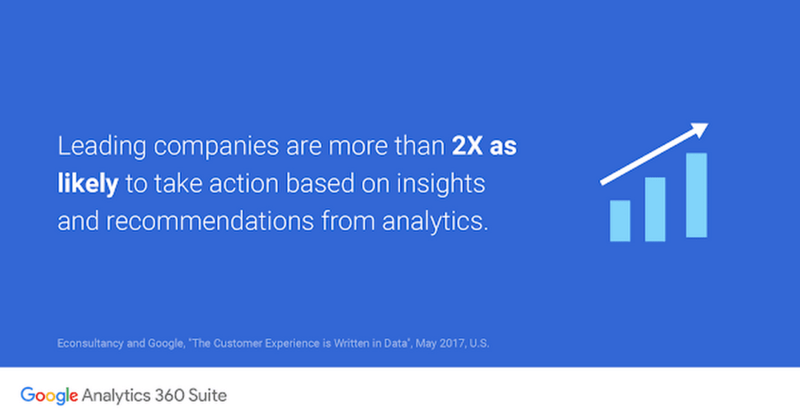 Download the Econsultancy report, “The customer experience is written in data,” to learn how successful brands put data at the center of their marketing strategies. 1, 3-5. 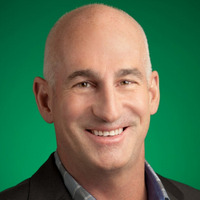 Google/Econsultancy, "The Customer Experience Is Written in Data", U.S., n=677 marketing and measurement executives at companies with over $250M in revenues, primarily in North America; n=199 leading marketers who reported marketing significantly exceeded top business goal in 2016; n=478 mainstream marketers (remainder of sample); May 2017. 2 Google Surveys, U.S., "2016–2017 Marketing Analytics Challenges and Goals," Base: 203, marketing executives who have analytics or data-driven initiatives, Dec. 2016. 2. Google Surveys, U.S., "2016–2017 Marketing Analytics Challenges and Goals," Base: 203, marketing executives who have analytics or data-driven initiatives, Dec. 2016.